Regular rainfall at this time of year is welcome as it boosts the growth of the young vegetable seedlings. However, the downside are the lawns and weeds jump out of the ground with more and more time becoming devoted to mowing and weeding. The main reason for mowing is to get a clear view of the snakes before they get under foot. No more venturing out without the appropriate footwear and long pants. The local public swimming pool is in full swing with Learn to Swim classes and swimming squad training morning and afternoon, interspersed with children cooling off after school and individuals with their own exercise regimes like ourselves. Fortunately, there is a monthly day by day programme on the whiteboard allowing us to insert ourselves in between classes and visiting schools. The water temperature is higher and more comfortable although there is something to be said for the cooler temperatures of a month ago encouraging more vigorous activity as well as cooling down the limbs. 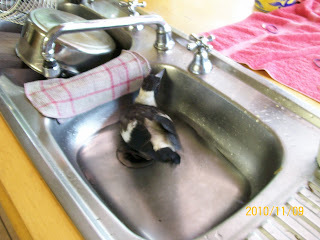 The young magpie has settled down but not without some downside. The cats are still trying to kill it meaning, only one species is allowed in the house at a time; although the 20 year old cat looked completely surprised when the magpie splashed down beside him and cuddled up. There is also the issue of what goes in must come out - in a different form! There seems to be this tube starting at the top in which we add various goodies such as moistened cat and dog food, mince, greenery and worms. These additions move down the tube by gravity and drop out in a more liquid form like little oysters with a dark centre surrounded by a white milky substance. Unless wiped up immediately, they dry into difficult to remove solids. These appear at random down the back of chairs, down open doors, down the back of your clean top and in various other inaccessible areas. Miggie, as she is called, has also discovered play. This involves everything on the kitchen benches being carried to another location. The dried chillies, garlic, notes, pencils etc relocate at random. More interesting was the water filled platter being used to rehydrate rice paper which became a bird bath after the first sheet was removed. She is just over 4 weeks old, hopefully soon self feeding and flying skills will evolve and more time will be spent outside. Not that it isn’t cute but it is wearing after a time. We will miss her when she decides to leave us. Many people write wonderfully about the joy and relaxation that bread making brings; the kneading and tactility as the dough changes texture is inspiring. Neither of us has that thought! Bread must be made. It is better made than bought. This way the ingredients can be controlled. Usually this task is required to be performed two or more times each week. 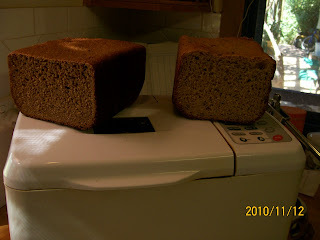 Our approach uses a bread machine as the labour saving device to allow other tasks to be paralleled. Over time a manual setting has been developed to suite the style of bread we make. Our problem is that our flour is stone ground not long before we use it. Just enough is ground for one or two loaves and/or some fresh pasta. We have an old stone grinder driven by an electric motor that was passed on from the previous owners. It needed some refurbishment and it doesn’t grind really fine flour but it works well enough. Good quality Bio-Dynamic whole wheat grains which we buy in bulk and store in a vacuum is our preferred ingredient. Of late we have been using milk instead of water in the dough. This seems to provide a better result. In addition a little extra liquid is added to give a much sloppier dough which gives us a better rising and texture. Today also involved cinnamon bread or simply the standard loaf with three spoons of powdered cinnamon and a third of a cup of sultanas. A nice little treat at breakfast, particularly with our homemade cultured butter. Some years ago we both decided that fulltime work was detracting from our desired lifestyle. With the mortgage within relatively easy reach of final payment it seemed a good time to move to casual work. It was surprising to me how easy it was to find work locally which would only occupy 2-3 days each week. The pay rates were not as high as city work, but then travel was greatly reduced as were the costs associated with it. The work environment was also more conducive and the hours more flexible. With a last big effort we not only paid off the last of the mortgage but also put aside enough to live off for a several months should there be a downturn in demand for labour. This additional free time opened up the opportunity to do more things for ourselves and to also revisit our cost structure and prune any waste. Waste did not involve good food or good wine. We don’t indulge in all the goodies associated with a large cash flow such as new 4WDs or large TVs in every room or any toys to be thrown away after a few uses. There is nothing we cannot afford, the issue is do we really need it to provide a brief pleasure before that pleasure dulls and we are looking for the next big thing. Once established in our area a reputation for honesty, work ethic and loyalty resulted in more offers of work than we could accept. In a small community the recommendation of other locals is a gold pass. It didn't take long to uncover the cause of the problem with the Mary Washingtons ie why they were late to shoot. 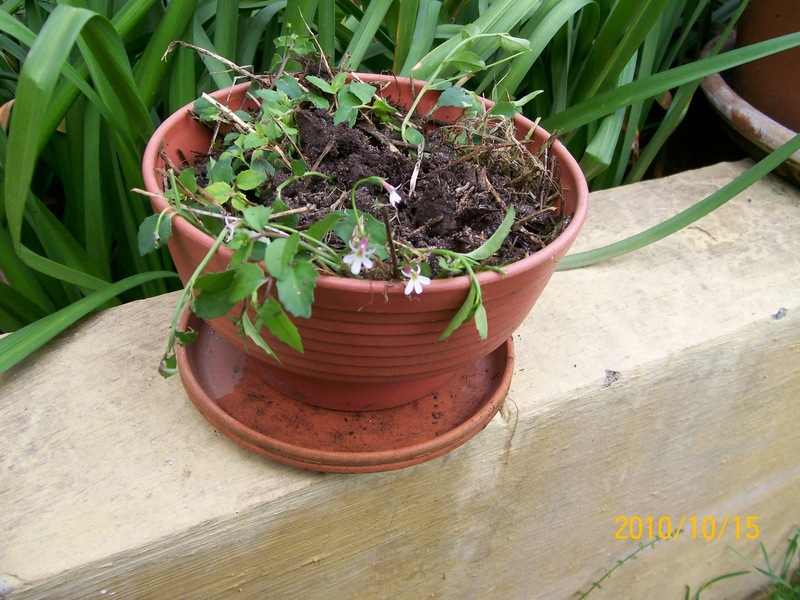 What appeared to be an innocuous ground cover which easily pulled away turns out to be a very nasty weed. This nameless invader has an extensive matted root system going down 200 mm below the surface smothering everything. Over a couple of days we managed to remove a substantial quantity but not without some damage to the asparagus roots. Then every day or two we go over the entire bed with a small hand fork plucking out any shoots that were missed or any green leaves that pop above the surface. The hope is that with long term diligence and preventing any remaining roots from gaining access to the sun, it will eventually fail to thrive. An additional job but better than having to start the bed again. Our first two bikes were second hand picked up at an auction sale - $2.50 each! A couple of working spares were added from friends and relatives’ rejects. 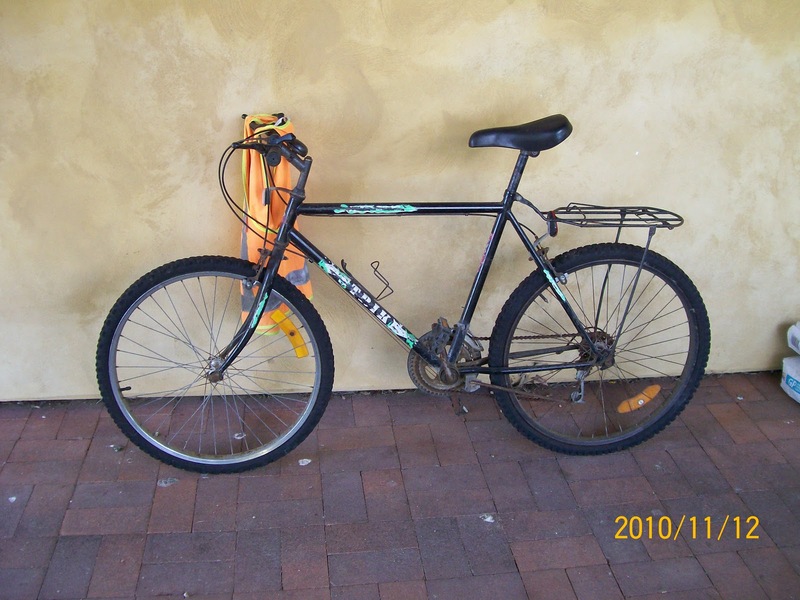 Since then, we have accumulated spare brakes, tyres, rims, tubes and accessories which have proved very handy. Every year the local council conducts a bulky goods pickup. This is an ideal time to grab a few discarded bikes, strip off any reusable components and place the remainder out for recycling. The council very cleverly ensures the announced pickup date is a couple of weeks before the actual pickup. This ensures that people such as us can rummage through the goodies on display and select any reusable pieces before the big truck takes them away. We mustn't be the only ones with a sharp eye for reuse as over a period of days large quantities of discards disappear overnight. Wisely the council reduces its work load by about 75%. Buying bulk supplies of grain for the chickens provides significant cost savings. Careful storage of grain is critical as in warmer weather weevils can decimate the storage bin in a short time. Non-organic grain is usually treated to protect it against weevils but Organic and Bio-Dynamic grain requires mechanical protection. We store our grain in 200 litre plastic drums with screw top lids. These can be cheaply purchased from food importers who repackage products such as olives and capers. 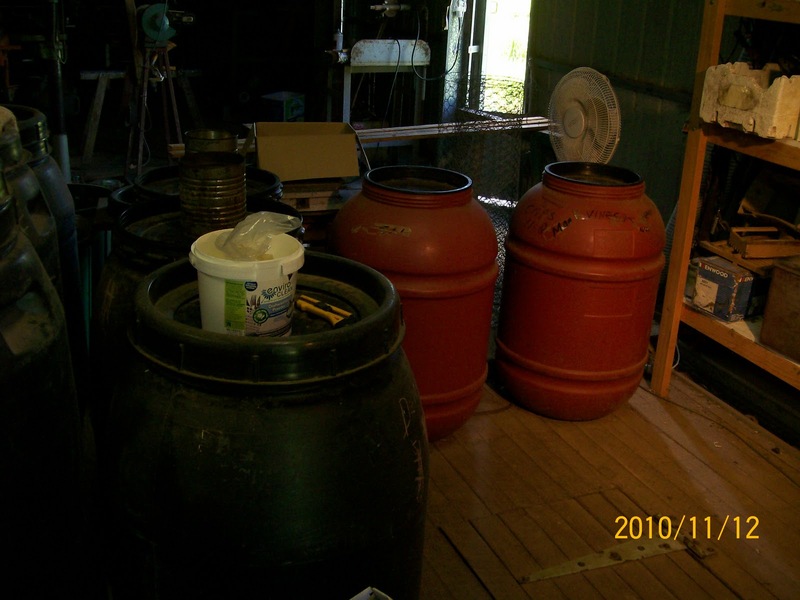 They are happy to sell the empty drums for a few dollars to all comers. Once the drum is cleaned and dried, it is filled with grain until about 250-300 mm from the top. A piece of aluminium foil is placed in the drum and a small candle sits upright on the foil. Light the candle then curl the foil over so that the flame is below the turned foil. This stops the heat from melting the plastic lid. Ensure the screw top lid has its rubber seal intact and screw the lid on tightly. The candle will eventually extinguish leaving a slight vacuum and carbon dioxide. This is an environment which is not conducive to weevils. In the warmer months we relight the candle every month or so to ensure conditions for weevils don’t improve. Over the years we have tracked down a number of organic or Bio-Dynamic grain farmers who store their grain on farm when the market is depressed and sell when the market is more attractive. They are happy to sell any quantity for cash and the price is very competitive compared to normal retail. These buying trips involve a long day. An early start followed by a long drive to grain country, filling bags from the silo and then weighed down with a slow return trip. This is a good job done with a solid trailer. If morning tea, lunch and afternoon tea are packed, this can be a pleasant sightseeing country trip. The country hospitality is always there so don’t be surprised to be offered a cup of tea and spread of homemade goodies.